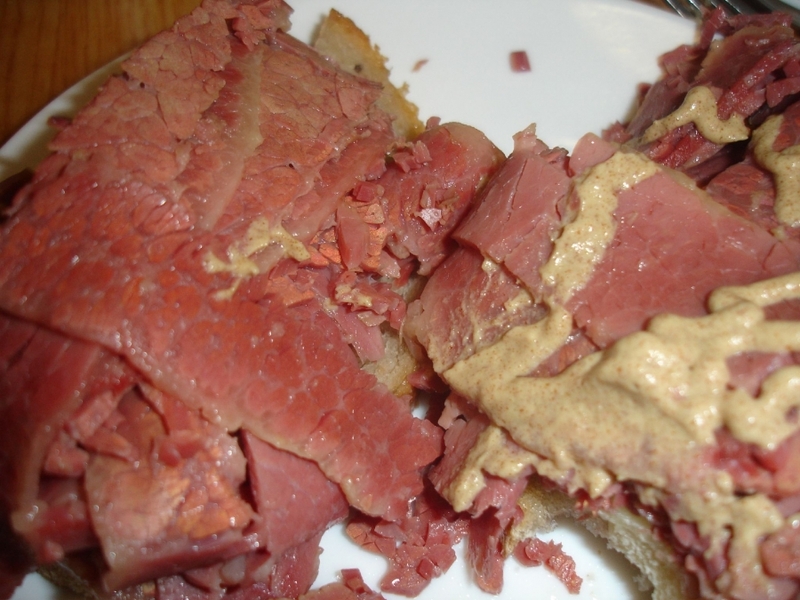 Learning how to cook corned beef and cabbage is a relatively simple process. Often, the beef comes with a seasoning packet of mustard seeds, peppercorns, allspice and cloves. If your beef does not, season as described above. Put water into a large stockpot along with the brisket and seasoning. Bring the water to boil, then put in the corned beef. Set it to simmer; you will want the beef to simmer for 4-5 hours or until it is cooked through. Add the cabbage (cut into quarters) about an hour before hand. You can cut the beef into slices and when the cabbage is tender, its done. is simmering when the water is just rippling slightly? It most certainly is. The best way to simmer is to bring it to a rolling, full boil and then lower the temperature to medium/low.